Steven G. Rivkin is Professor of Economics and Head of the Department of Economics at University of Illinois at Chicago. He is also Associate Director of Research with the Texas Schools Project at the University of Texas at Dallas, Fellow at the National Bureau of Economic Research, and is a part of the CALDER Texas team. He was also a post-doctoral fellow in the NSF urban poverty program at Northwestern University. Dr. Rivkin’s main areas of interest are the economics and sociology of education, where he has written on a wide range of issues including teacher quality and labor markets, school desegregation, class size, special education, charter schools, student mobility, and school spending. He has authored and co-authored numerous publications on factors related to student outcomes, including two forthcoming papers - one in the Review of Economics and Statistics on student absences and one in the Journal of Human Resources on teacher quality-class size tradeoffs. A recent CALDER brief by Dr. Rivkin on value-added measures can be found under the publications section of the site. 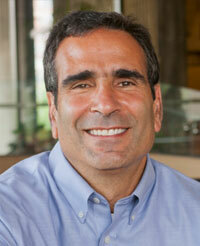 Dr. Rivkin received his Ph.D. in Economics from the University of California, Los Angeles (UCLA).